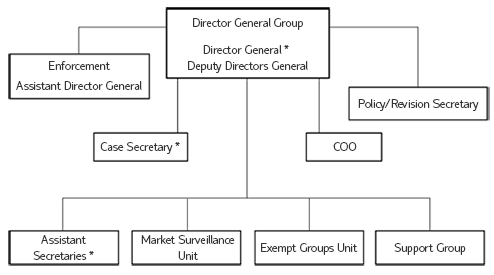 Non-executive; reviews decisions of the Executive. Panel Chairman, at least one Deputy Chairman, 12 Panel members appointed by Nominating Bodies and up to eight Panel members appointed by the Panel. Up to 12 Panel members appointed by the Panel. * Seconded from investment banks, law firms and accountancy firms.